Shopping in Yountville's boutiques and stores you'll find something for everyone. For you, while you're visiting and gifts for family and friends at home! You'll find one-of-a-kind clothing shops in town for ladies, gentlemen, and even kids - not to mention an out-of-this-world chocolatier! Staffed by personal shoppers trained to know color, style, and fit, i•elle has been named the best women's clothing store in wine country by local Napa Valley media time and again. i•elle carries premium clothing brands, and owner Chelsea Cortese offers a wardrobe service shipped to your home! Sisters is not only a purveyor of fine clothing, jewelry, and accessories but also a full-service salon inside the V Marketplace! Indulge in a facial treatment, then get ready for a night out in Napa with their dry bar! Or if you're visiting for your special day, take advantage of their bridal services. An island-inspired men's boutique, Kane offers a variety of options for Napa Valley visitors. Whether you're looking for something casual to wear on long vineyard treks or layers for those cool coastal evenings, Kane's is the perfect place to help you slip into the quality and comfort of a wine country vacation. Napa Valley is famous for the California sun, and what better to protect you throughout the day than the stylish, finely-crafted hats from Montecristi? The word "montecristi" denotes the highest standard in the Panama hat trade, and here you'll find fedoras and other styles to keep you in the height of fashion, indoors and out. In the spirit of Napa Valley, Lemondrops offers a blend of the new and traditional. The boutique carries fine children's fashions and shoes, as well as toys and games! A great stop for the younger members of your group. This premium chocolatier serves Gelato, Espresso, and chocolates in a variety of flavors. Ever tried Fennel Pollen or Lavender Truffle? How about chocolate with notes of Passionfruit or Red Wine? 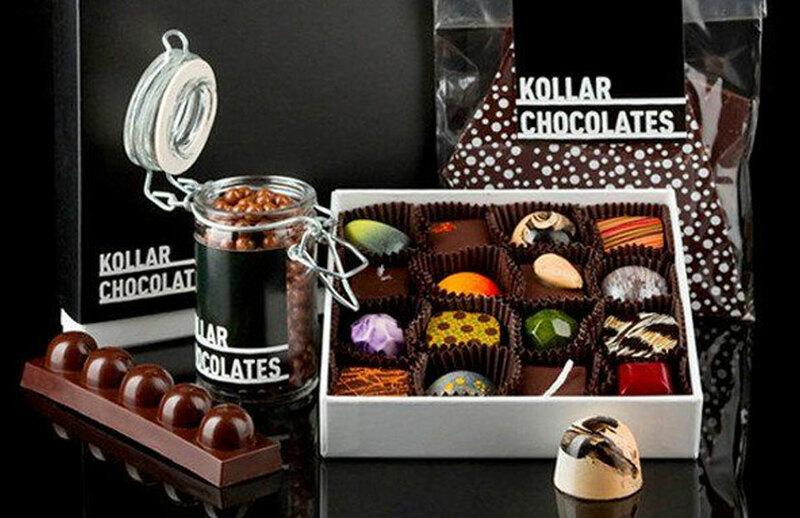 Come grab a treat from Chocolatier Chris Kollar to taste the sweeter side of Napa Valley. At SENZA Hotel, we aim to rejuvenate, relax and connect you to local dining, wineries and more. Contact us today and visit the Napa Valley of your dreams!